It's our biggest sales event of the year and it offers you different ways to earn FREE products. 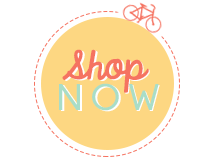 You will receive a FREE Sale-A-Bration item for every $50.00 you order from January 28th - March 31st. You can also earn Stamping Points during this event too. Click here to view the Sale-A-Bration catalog. I love how simple embossing folders are to use and how much they can add to a card or any of your other papercrafting projects. Right now since it is SALE-A-BRATION, you can order the Texture Boutique Embossing Machine (#132657, $29.95) and 3 embossing folders of your choice and get a FREE sale-a-bration item. 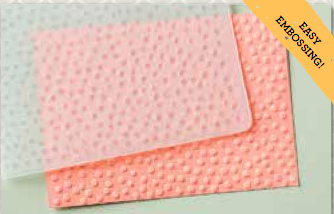 The decorative dots embossing folder above would be a perfect choice! Here is a video from Stampin' Up! about this awesome little tool.